The last time I traveled by train was in the UK; between London and Warminster in June. 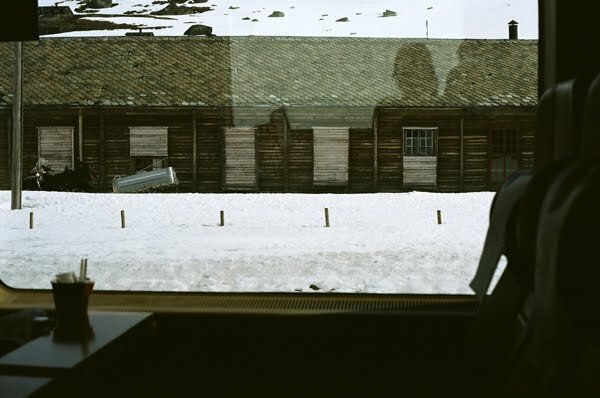 The last time I traveled by train in Norway, was between Bergen and Oslo in May. 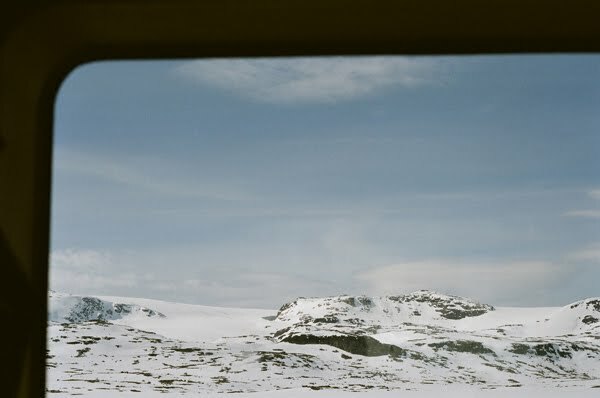 These shots were taken on that journey - at Finse. Today I'm traveling from Oslo to Arvika in Sweden. The sun is blinding me and summer green landscapes are passing by the train window. I love traveling by train! Btw, this time last year, Sølve and I checked in to this Provence paradise, as part of our honeymoon. absolutely my favourite way to travel. i love these shots, a.
Hei! Du har fått store bilder på bloggen, så fint! Gleder meg til å lese litt bakover i postene, har vært offline en stund. Hei Astrid. I just spent some lovely moments seeing your blurb books. So inspiring and beautiful. "my everyday life" was my favorite.